I have a new tool for planning pinto patterns and marking that I wanted to share with you all. Some of you may have caught a peek in my last post. One of my current commissions is a pinto drafter. 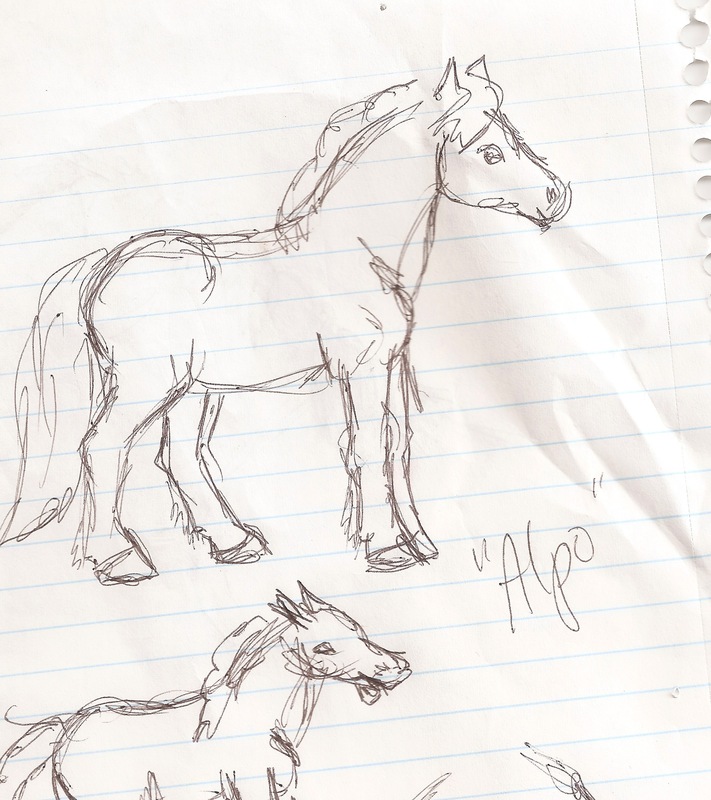 I had gathered reference pictures for his pattern, but none of the same horse. 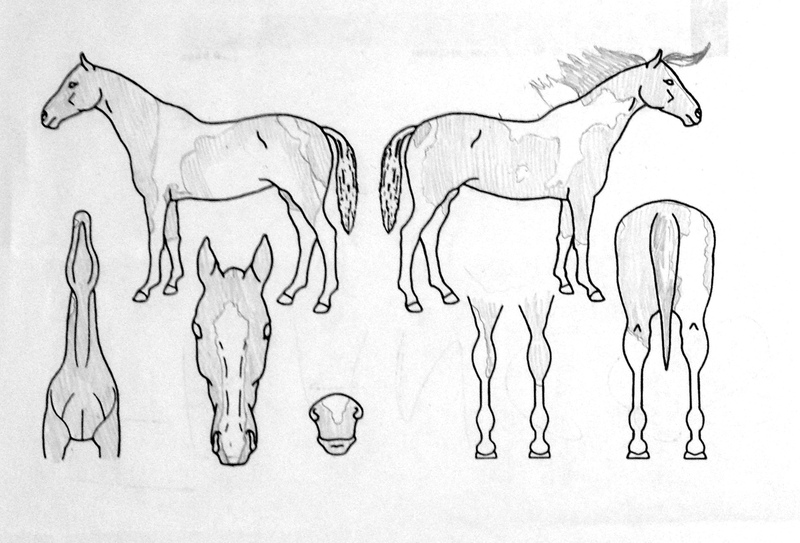 As is often the case, I needed to do some sketching to make a pinto pattern that combined two references into one realistically-marked horse. 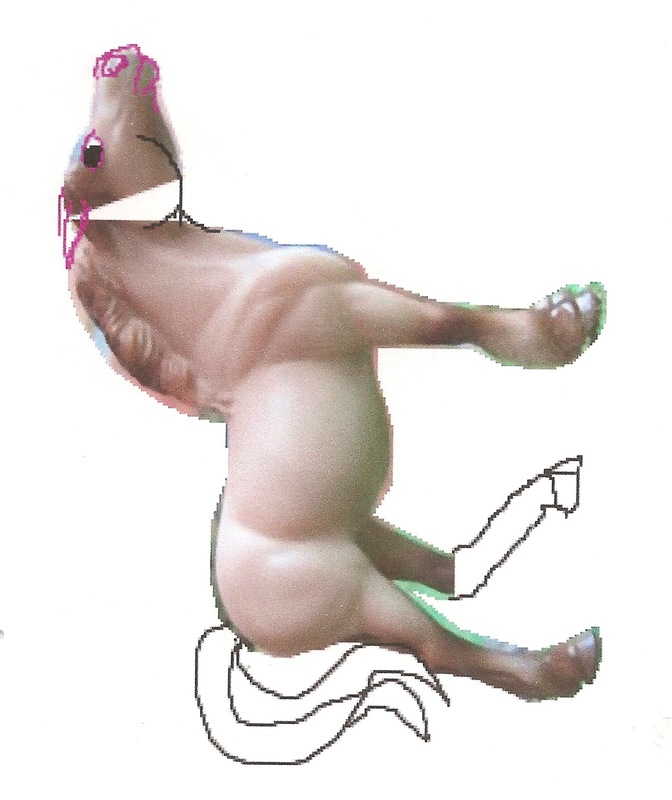 I decided to look around online to find a horse outline that I could use to sketch the patterns onto. I was stoked to find this image on the UK’s government site. It’s meant to draw detailed pictures of your horse’s identifying marks for a Horse Passport, which makes it perfect for me uses. I modified it slightly, printed it out, and then used a pencil to sketch in the patterns. Now I can see where I need to adjust the reference horse pattern to fit together nicely. 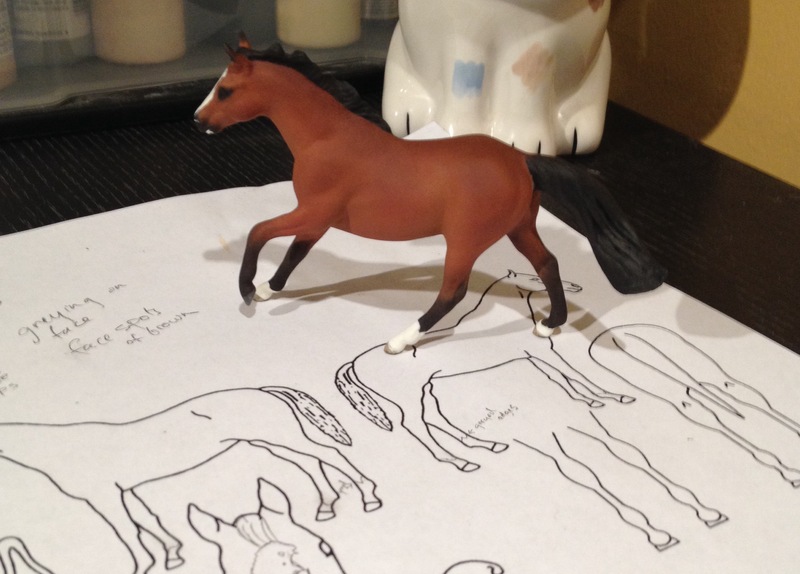 I’ll do my base chestnut coat first, and this drawing will guide me as I map out the pinto markings. I’m excited to have found this so I have a blank to use whenever I’m planning complex markings. And it was great to use for Ducky since I was trying to match a specific horse’s marking exactly. I added his pictures to my Bay & Black gallery. I also added some better pictures of recent customs to their respective galleries. I’m looking forward to painting and posting more ponies soon! The second custom I’m working on as a MEPSA donation is a G1 Morgan Stallion. I’ve given him a better tail, delineated mouth, more refined forelock, real stallion parts, and completely redone his club feet. He looks rough without primer, but he’s going to be really nice with some color on him. I’m torn about what color to paint him. I definitely want it to be something found in Morgans, since he has such nice type. I’ve picked out a number of option and want you to help me decide! As with my previous poll, please vote for your three favorites using the gallery and poll below. Click to enlarge the pictures. I really enjoy showing with the Model Equine Photo Show Association, or MEPSA. This year I am working on two models that will be prizes in the year end championship show. Last year’s show was super fun and I was very thankful to win some beautiful prizes, including the First Draft resin that became my little foal Kaylee. I wanted to help out this year so I’m working on some customs. But I need your help picking colors! 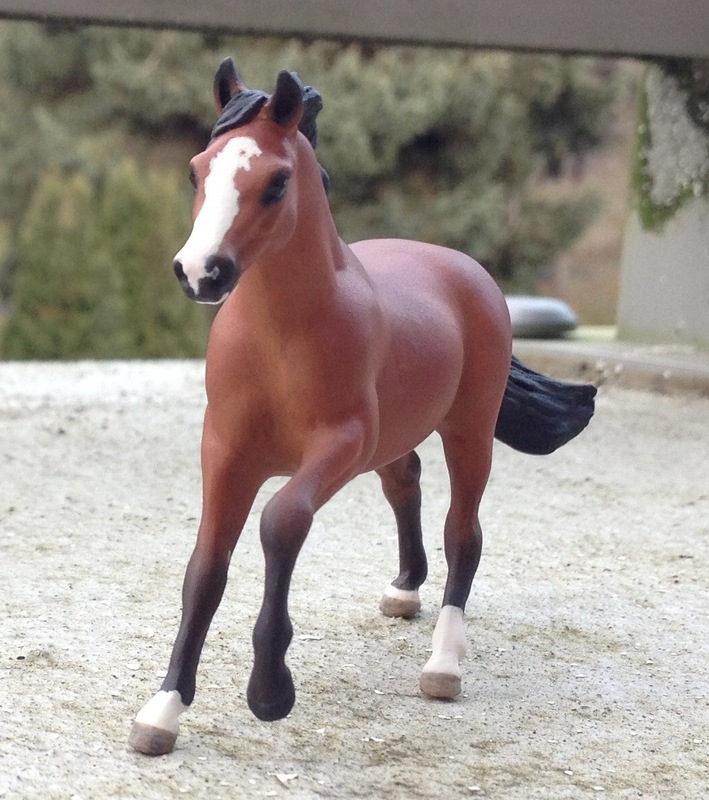 The first custom is on the G2 Appaloosa. 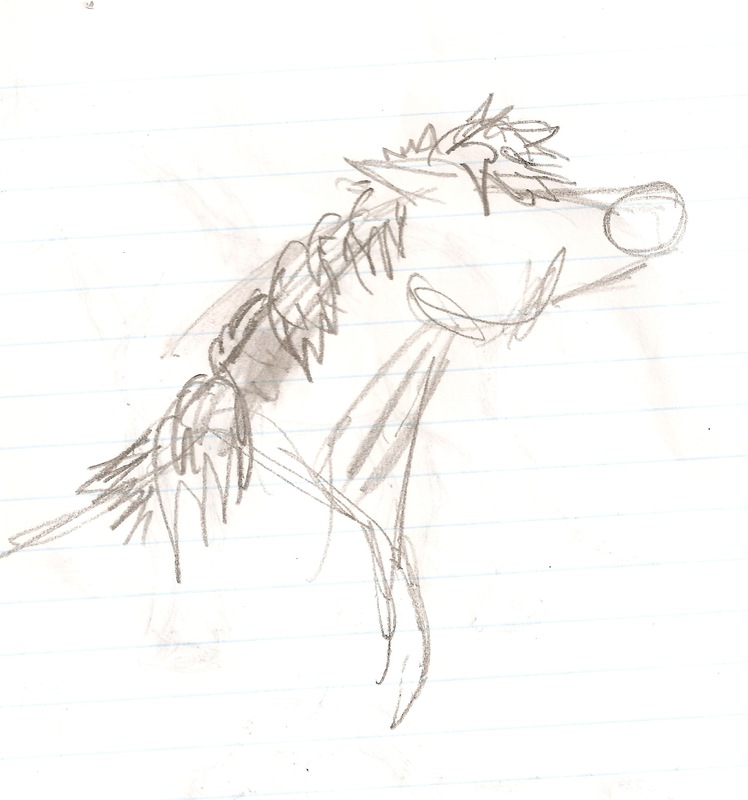 I’m envisioning him as a dun appy, but I’ve picked out a few possibilities. What do you like best? Please vote for your three favorites using the gallery and poll below. Click to enlarge the pictures. 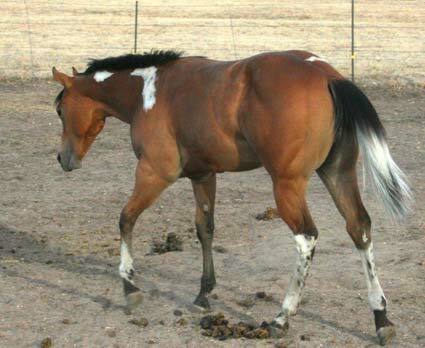 Now that I’ve started learning about horse color genetics, I really have to think when I’m planning something like a dark bay tobiano on a half Paint horse. I was having enough trouble figuring out what pattern I wanted before I realized that he couldn’t show any homozygous tobiano traits, since he can only be heterozygous for tobiano. This is both exciting and frustrating. I really like her cool black spotting on her lower legs. When the spots are adjacent to the hoof, this is known as ermine spotting (and occurs on non-pinto horses as well). The markings higher up on the legs are known as distal spotting. Fortunately, some quick research showed that while distal and ermine spotting are often signs of homozygosity, they are not always. So Liam sporting these cool details would not be impossible. What would be impossible, however, would be if his pinto pattern featured cat tracks. Cat tracks, also known as ink spots, are small, often roany spots usually grouped on the horses barrel or haunches. 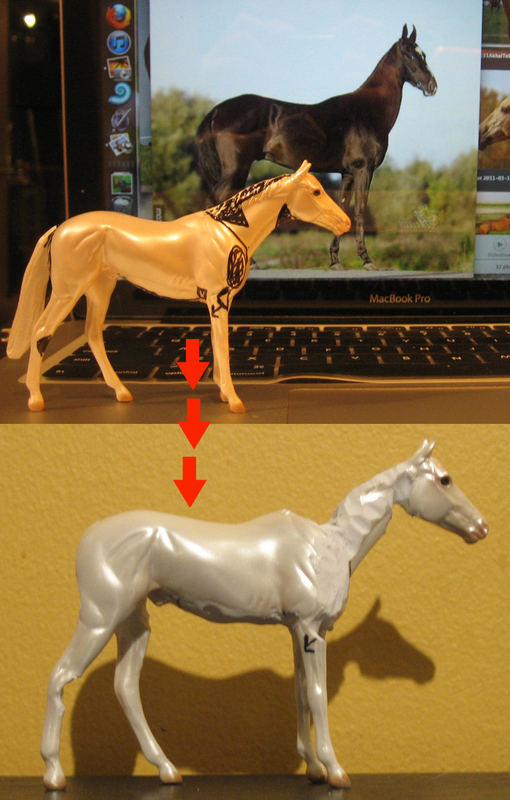 These markings are homozygous indicators, so they would not be possible on a Paint x Percheron cross. 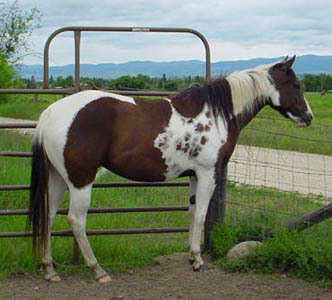 I tend to like minimal pintos best, and have planned Liam as a pretty minimally marked tobiano. 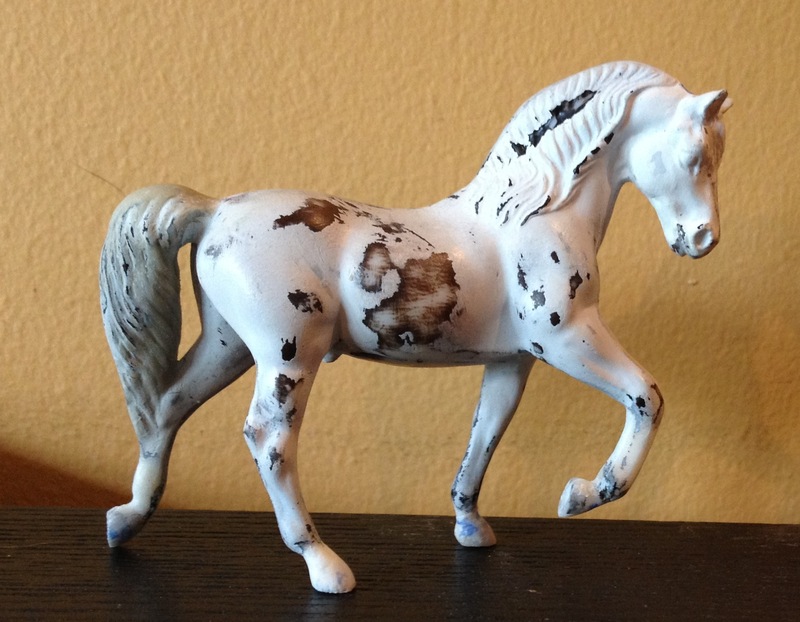 Happily, the amount of white on a tobiano is not dictated by its hetero- or homozygosity. One might think that a horse with two copies of the tobiano gene would have more white than a horse with only one, but there is no genetic or phenotypic evidence for this. Basically, even with genetics in mind, there are about a million possibilities for Liam’s pinto pattern. And I’ve collected references for about half of those million. So now I just have to narrow it down and make a decision! As I said, both exciting and frustrating. I spent several hours today working on models, and I found myself thinking about my post of yesterday featuring albums of start to finish customs. I absolutely love seeing other artists’ works in progress, almost more than the lovely finished products! And I learn a lot from my oogling- there is a lot of knowledge to pick up just my watching another person work. 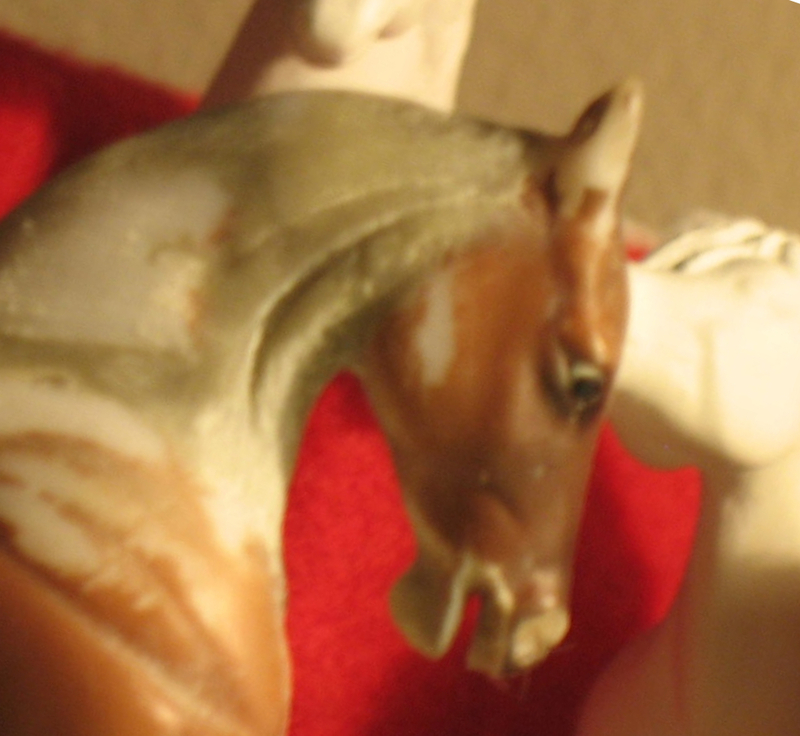 Tonight I took a dremel to two horses, and in both cases I used knowledge I had gleaned from other people’s work. 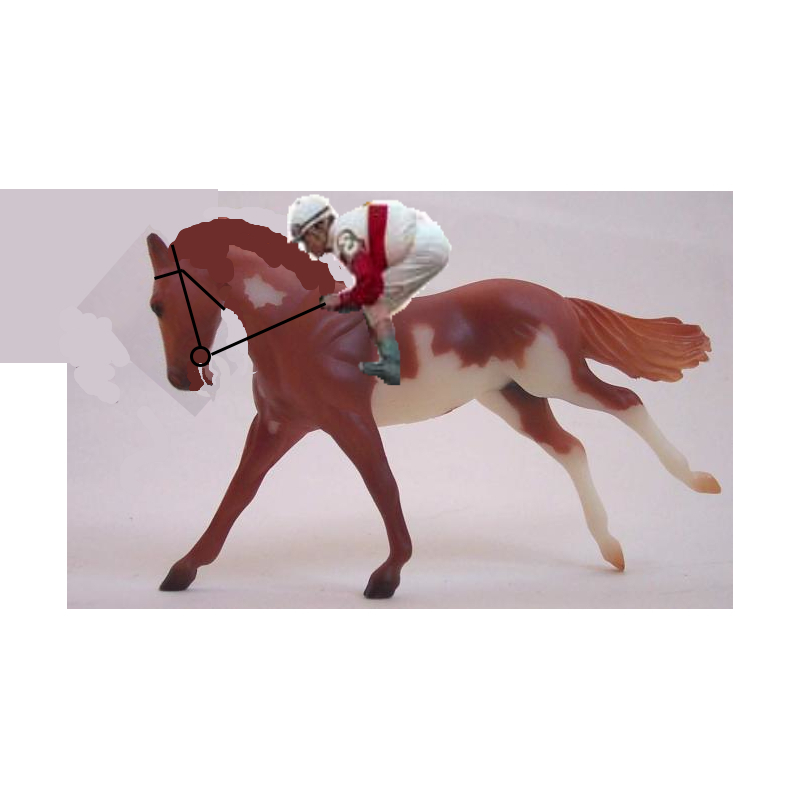 This picture of a WIP medallion helped me realize I needed to re-do my racing Thoroughbred’s open mouth. One of my dremel tasks tonight was to open up my horse’s jaw so that the facial anatomy would be more correct for her open mouth. 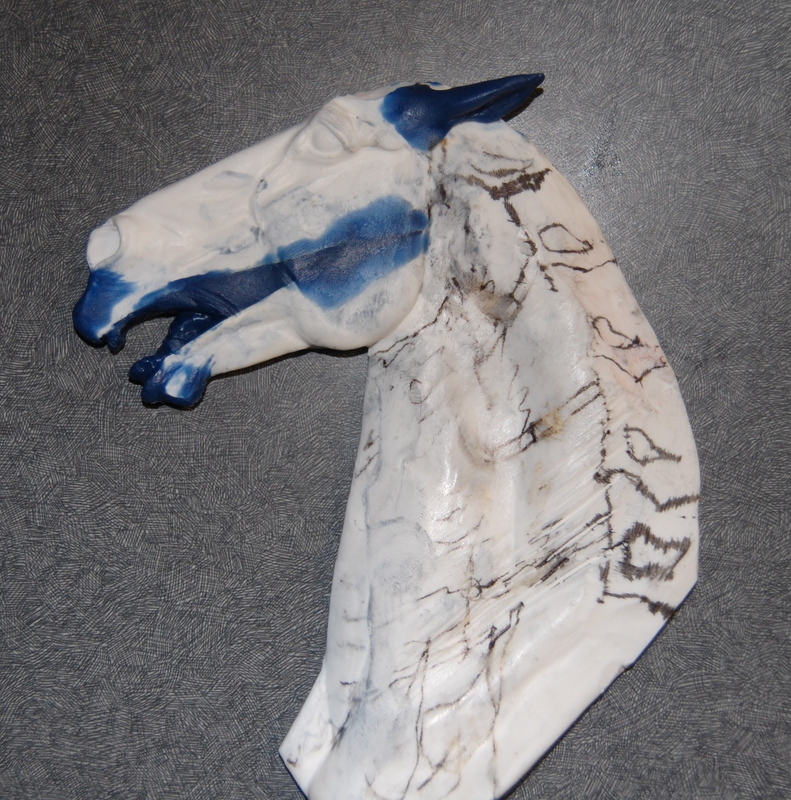 My other task is a new project, a Chips Thoroughbred to an Akhal Teke. 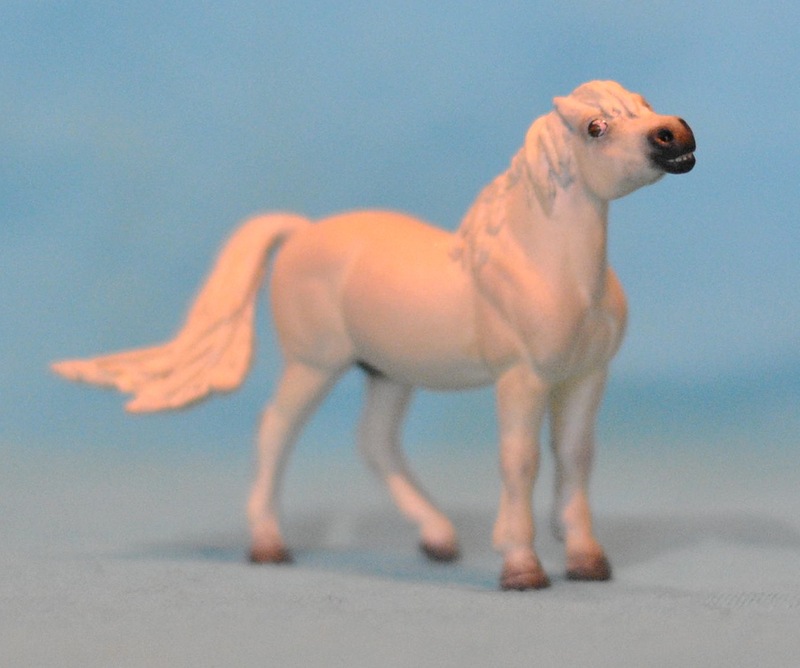 I absolutely love Akhal Tekes, but there aren’t any nice Teke models in my price range. So I’ll attempt to make my own. But it’s going to take a lot of changes, especially to get the attitude I’m looking for. I had a lot of dremeling to do, so I used a strategy I’ve seen multiple others employ: I drew on the horse with sharpie to mark where I needed to cut or shave or move. That way when I sat down with the dremel, I had a clear plan instead of trying to just eyeball things. How else could I have created this, er, lovely creature? Here’s hoping some nice time with the heat gun will get him looking a little more graceful. But that’s for tomorrow! I’ve been sick since Thursday and too brain dead to do much of anything. It’s so cruel how when you have a reason to be home from work you often are too wonky to accomplish much of anything. 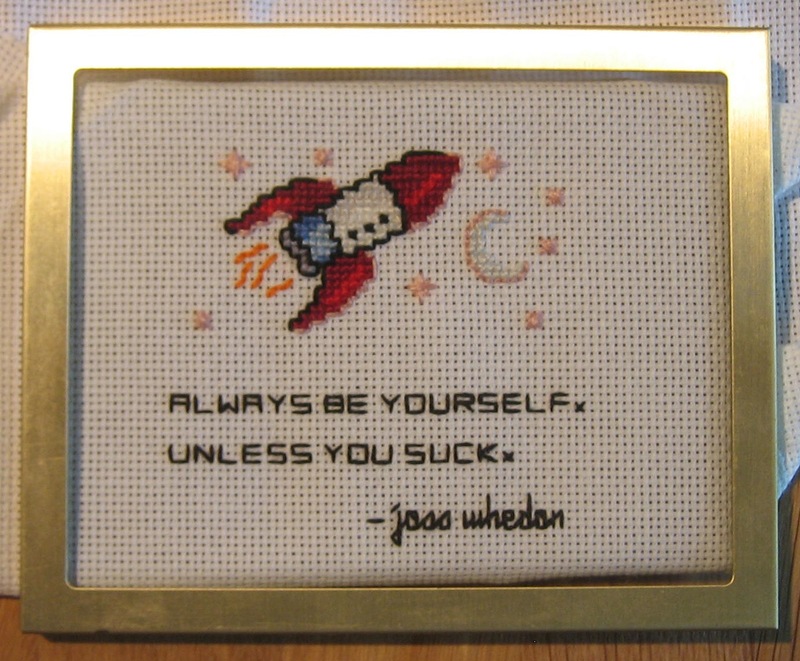 Mostly I have been sitting on my couch in sweatpants watching Stargate: SG-1 and cross-stitching and blowing my nose. All of my cross-stitch projects tend to be quite snarky in nature. I keep wanting to get in some pony time, but it sounds like really hard work. I have been mucking around on Blab and blogs and such however, which is at least inspiring- and often, educational. There is a fabulous tutorial on sculpting a horse’s mouth on Blab, by member Rayvin. It’s got excellent step by step instructions and plenty of good pictures, too. 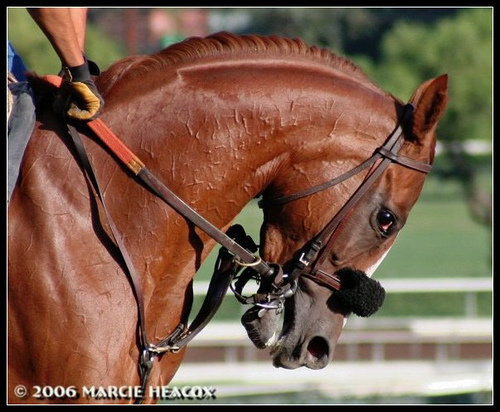 It’s got me thinking a lot about my WIP racehorse. I opened his mouth with the dremel and then enlarged and dropped the chin. I started to sculpt teeth (the upper set are in) and intended to do the lower set, then lips. But Rayvin’s article has me rethinking. I really don’t want to take the head off again, but is it all wrong without opening the jaw all the way up? What if I just slit in a little (say, up to the edge of the cheek bone) and opened it there? Has anyone else done this? I’d love to hear your thoughts!